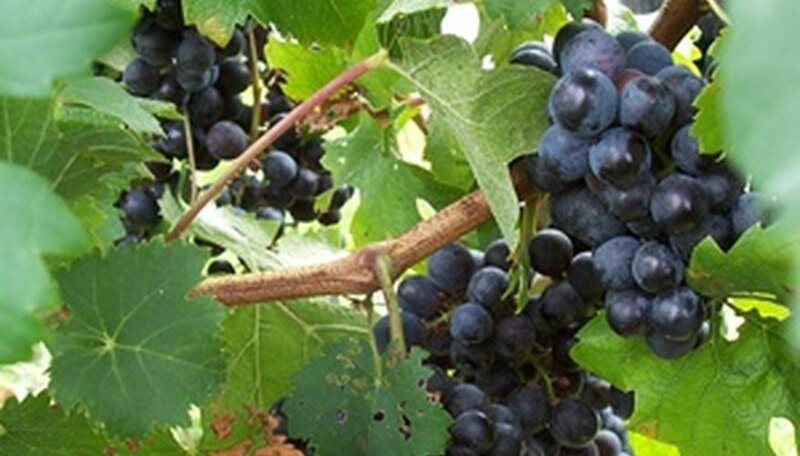 The most effective fertilizer to use for grapevines is aged compost. Compost consists of decomposed organic matter such as grape pomace, yard clippings and manure. In commercial growing, compost as fertilizer has been shown to increase crop yield. Home gardeners growing grape vines can support the health and productivity of their grape vines by amending the soil with compost and using it in an on-going fertilizing program. Good soil preparation ensures sustained fertility for perennial grapevines. Test the soil for nutrient levels and pH levels. Apply organic soil enhancers before vines are planted. Fertile soil should have 20 to 30 percent organic matter content. Compost is the most efficient way to incorporate organic matter to into soil. Apply commercial or homemade compost to the grape vine growing area. A preplanting compost mix can include vineyard waste, poultry and livestock manure and kitchen scraps. A compost fertilizing mixture that is used at planting time consists of 40 percent grape pomace, 30 percent poultry manure and 30 percent yard trimmings. For home grown grape vines, mix 2 shovels full of compost fertilizer into the planting hole. Adding compost at planting time increases water retention and enhances nutrient content of the soil. Using compost as fertilizer may also reduce root rot associated with phylloxera damage. Aged compost continues to be the best fertilizer for grape vines after they are planted. 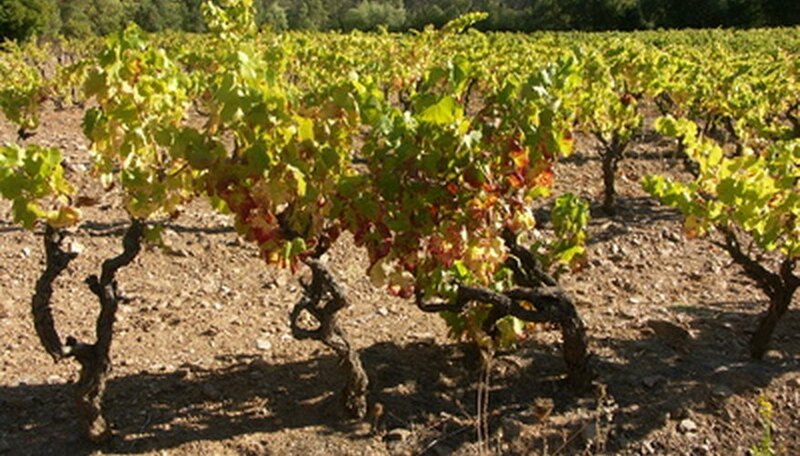 Grapevines have a relatively low nitrogen need. Compost releases nitrogen slowly so grapevines are not burned. Compost as fertilizer provides a slow release of nutrients into the soil and therefore into the grapevines. Compost fertilizer increases grapevine yield. Use compost on home-grown grapevines as a fertilizer side dressing. Pull back the mulch cover and spread one shovel full of compost in a circle around the trunk of the vine each spring.